Jason Innocent is acknowledged as one of the greatest African-American artists. Innocent is best known for using political and social commentary in his art. Innocent has a raw gestural style of painting with graffiti-like images and scrawled text. Emotional depth, use of unique symbols and imagery, and formal strengths in vivid color, composition, and drawing. Innocent's art focuses on themes such as social problems, power structures, class struggle and racism. Born and raised in the Brooklyn neighborhoods of East Flatbush, Jason Innocent (1995- ) is the son of a Haitian-born father and mother. At an early age, he showed a talent for drawing animation like Dragon Ball Z. Innocent first gained public attention as a graffiti poet while still a teenager. I was active in the art community in Lower Manhattan. I would go to SOHO parties, and hang out with underground celebrities having fun. It's not like it was in late 70s and 80s. But people started seeing my graffiti pieces. 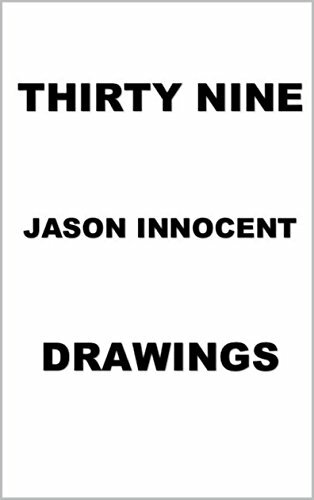 Fans would scribble who is Jason Innocent? on the wall. People would talk about it. I basically created a buzz. Art critics, editors, curators started knocking on my door. I'm profoundly influenced by Pablo Picasso, Cy Twombly, Jean Dubuffet, and Robert Rauschenberg. Their works stand out to me for a lot of reasons. Those reasons I can't explain. It's like something inside of me causes me to produce various amounts of work. I'm also inspired by people outside the art world. People like Langston Hughes. That art can be used to change the world. You don't have to be the smartest person in the world or be Steve Jobs or Bill Gates to do so. I want my drawings to come out and affect you in a good or bad way. I'm working on a pop exhibition. It’s a correlation with book 39 Drawings. For my next project I don't know. I do not plan my projects. I let it happen naturally. The best advice I can give to an aspiring artist is the advice I received. Not to give a f**k. Be different. Don't be afraid to try new things. Make yourself heard. The greatest of them all is to do it for yourself. Just type Jason Innocent. I'm not a fan of social media, it is addicting. I still didn't approve my followers on Instagram. I just focus on my goals.